Confounding all expectations, Earth’s first visitor from another planet was not a skinny gray creature with no hair, or a furry-faced six-legged genius beast. It was a very human-looking goat herder and her charges. At first she was friendly, but space biologists plotted to take her to a lab and probe her and the animals with metal instruments. Sensing their cruel intentions, she and her ragtag assortment of goats headed into a wooded meadow and disappeared behind high grass. 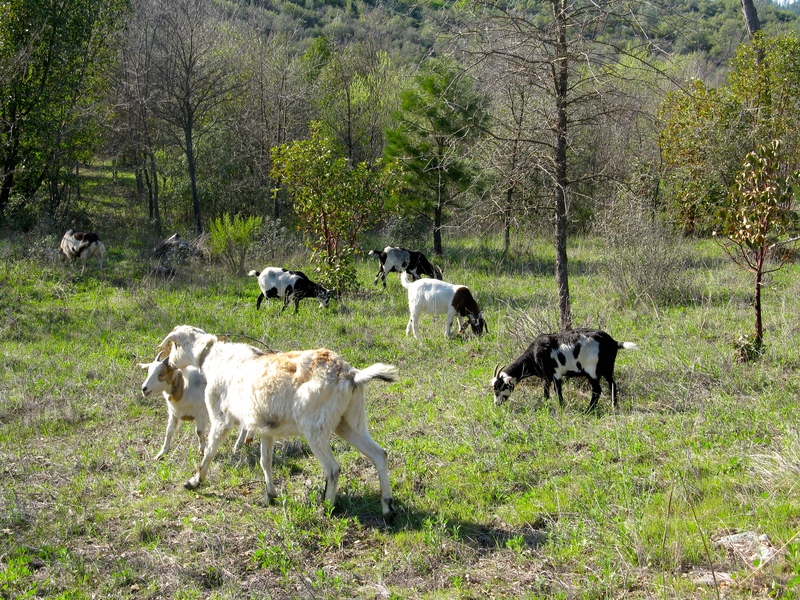 The authorities tried to downplay the incident, but Ziegenhirtin Kecskepásztor, which she said was her name, seemed determined to contact others of her kind – female goat herders who would help her and her herd adjust to Earth. Before she went into hiding, the alien allowed a friendly human to photograph a few of her goats. Tags: aliens, goats. Bookmark the permalink.